Jason Florio with the village chief – the alkalo – Massaneh Cham, of Chamin Sosseh, The Gambia, West Africa. 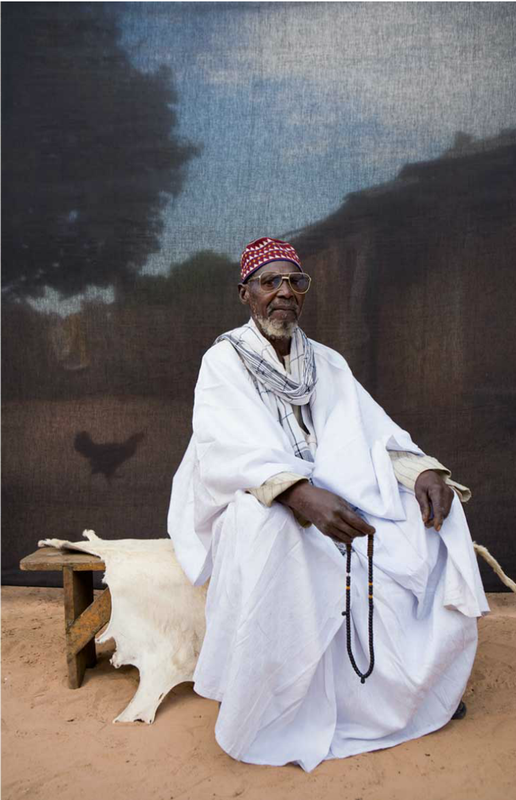 Just one of the many portraits, from Florio’s award-winning ‘Silafando‘ body of work, to be exhibited from Friday 3rd April, 2015 – in The Gambia. 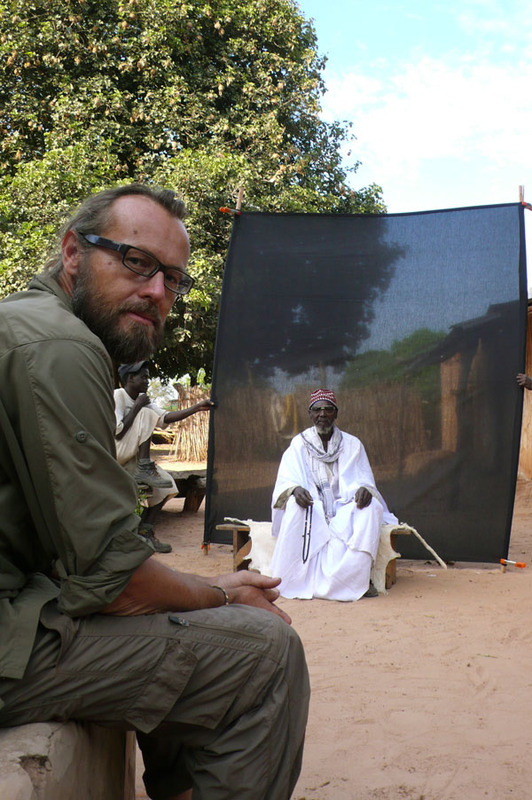 Taken whilst on ‘A Short Walk in the Gambian Bush – 930km Africa odyssey‘, with Helen Jones-Florio. Friday 3rd April, 2015 – 3-6pm, Gaya Art Cafe, Bertil Harding Highway (next door to the Senegambia craft market).